For many of us, formatting a MS table of content (TOC) could be a terrible experience. One of the major issues in the current MS TOC is that they are automatically updated every time you attempt to do a slight edit. Unfortunately, there are not many options for editing it without facing the automatic update headache. There are a few steps you can consider in order to easily manage your TOC especially before a deadline finalizing a document or report. Limit the editing to the page numbers only (right click — update field — page numbers only).
? 1. 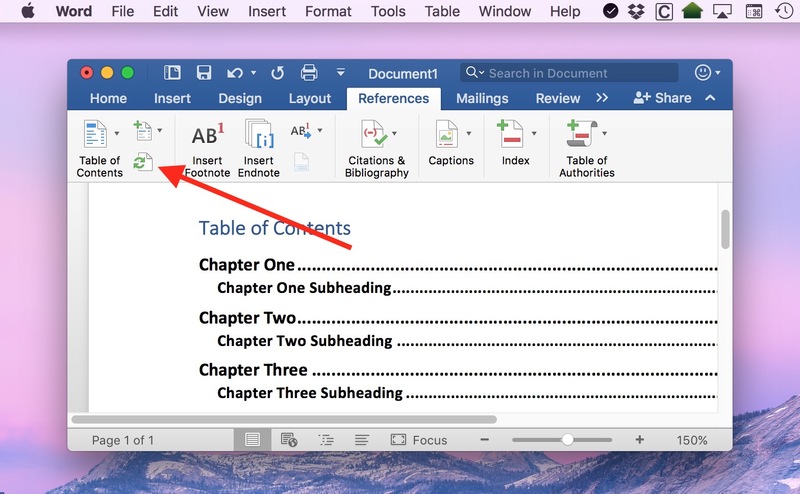 Consider unlinking the TOC to the word document. This will transfer the table into a normal table that you can easily edit. However, you won’t be able to automatically update the page numbers. Highlight the entire Table of Contents. Press “Ctrl+Shift+F9" (Windows) or or “Cmd+Shift+F9" for (Mac) to unlink the field code. For additional editing of content, I found this great video. It is very simple and to the point. It saved me hours of attempting to make minor changes that were causing major problems in the document I was preparing.